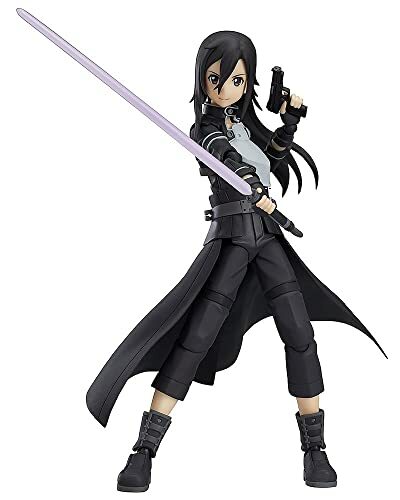 From manga, anime, and game Sword Art Online, this is a Sword Art Online : Kirito Kazuto (Gun Gale Online Version) Figma Action Figure from Max Factory. A sigma of Kirito in his avatar from Gun Gale Online! Using the smooth yet pose able joints of sigma, you can act out a variety of different scenes. A flexible plastic is used for important areas, allowing proportions to be kept without compromising pose ability. 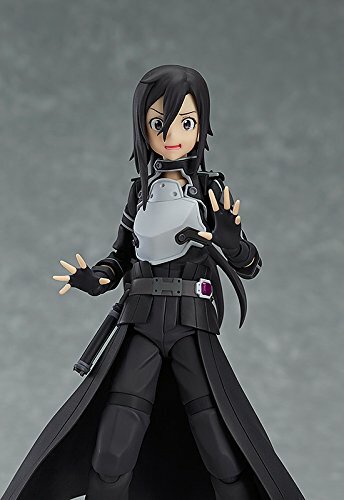 Kirito action figure comes with three expressions: a confident smile, a shouting face for combat and a flustered expression. His photon sword and handgun are both included, along with an alternate head part to display his hair more dynamically. Effect parts that can be attached to his photon sword are also included, as is an articulated sigma stand. 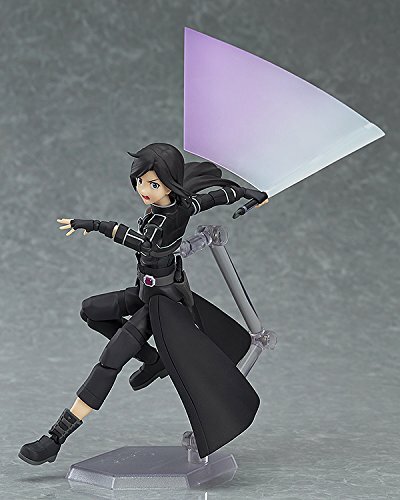 Kirito (キリト, Kirito) is the main protagonist of the Sword Art Online light novel, anime, manga and game series. His name, Kirito, was taken from his real name Kirigaya Kazuto (桐ヶ谷 和人, Kirigaya Kazuto). “Kiri–” from Kirigaya and “—-to” from Kazuto. Kirito is someone who is not good with words, as said by Klein, and can be quite direct. This is due to him not having many friends and closing others off because of his love for computers. As such, he can come off as a rude person to others, such as Lisbeth and Sinon. Sometimes, he actually seems to enjoy angering and teasing people as well. Also, from time to time, Kirito can be quite overconfident thinking he can do things others can not. After a long journey and many adventures, Kirito manages to reach the World Tree and overcomes its obstacles to reach the top. He rescues Asuna and discovers Leafa’s true identity. As ALO and SAO share the same game engine, among other features, a bug allows Kirito to retain most of the skills and money he obtained in SAO upon playing ALO with the same Nerve Gear, already beginning his journey with an advantage over other players. Despite this, he ends up being forced to discard all of his items (except the one containing Yui, which reformats itself as a navigation pixie), as they were not recognized by the system. He is later asked to register in Gun Gale Online in order to investigate real life murders that are somehow linked with assassinations in-game. It is soon revealed that the murders are committed by ex-players from Sword Art Online, who were part of a player killing group known as Laughing Coffin. His actions result in the capture of two out of the three culprits. The last member escapes and is not heard of until the events of volume 9, and is responsible for an attempted murder of Kazuto. 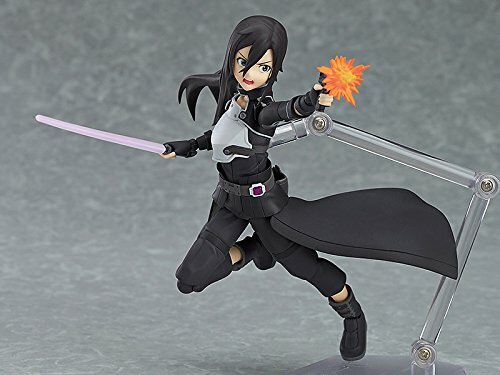 For fans of Fire Emblem Awakening don’t miss and buy this Sword Art Online : Kirito Kazuto (Gun Gale Online Version) Figma Action Figure for your anime figure collection with good price..